John Sharkey is Professor of Chemistry at Pace University in New York City. 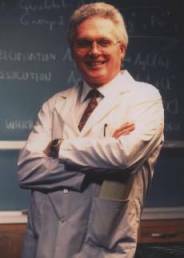 Dr. Sharkey is responsible for teaching courses in general chemistry, analytical chemistry and environmental chemistry. Before coming to Pace, John was employed by Engelhard Industries as an analytical chemist assaying precious metals. At Pace, he has served as department chair, associate dean and associate provost. Dr. Sharkey's research interests are in the field of chemical education and the history of chemistry. He authored a biographical article on the Civil War chemist John William Mallet, which was published in American National Biography. Outside of Pace, Dr. Sharkey serves on the Heritage Council of the Chemical Heritage Foundation, the ACS Committee on National Historic Chemical Landmarks. He is also the Archivist for the Division of the History of Chemistry of the ACS. John's collecting interests include the stamps of Ireland as well as chemistry and chemists on stamps. He served as president of the Study Unit from 1989 through 1991, and currently serves as the contact for back issues of the Journal and is the representative to the American Topical Association and the American Philatelic Society.